Have you ever studied about Myanmar and encountered the unorthodox images of the long-neck women wearing necklaces? If so, they are the Padaung tribe, sometimes called the giraffes people. Padaung people are one of the four major groups of Kayan people. Originally, they live in the Shan State and Kayah State in Myanmar. But in the 80s and 90s of the 20th century, many Padaung people fled to Thailand, in Mae Hong Son area, to avoid the Burmese internal conflict then. Compared to other ethnic groups in Myanmar, there’re not many Padaung people living within the country. 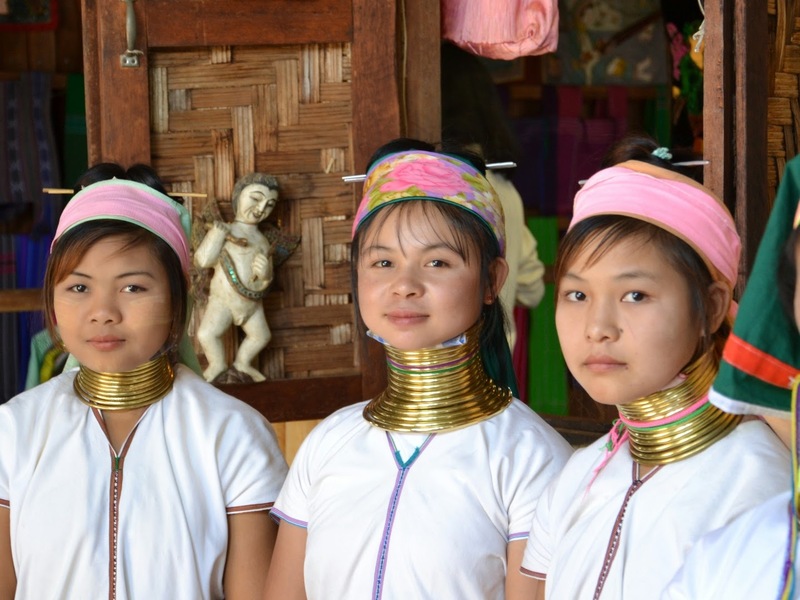 However, the Padaung women all stand out because of the bizarrely long neck and the brass neck rings attached around. Wearing these brass coils can lengthen the necks, but what is the purpose of having an abnormally long neck? It turns out that there’s more than one question on this. First theory suggests that the coils make them less attractive, so that they won’t end up being victims of human trafficking. 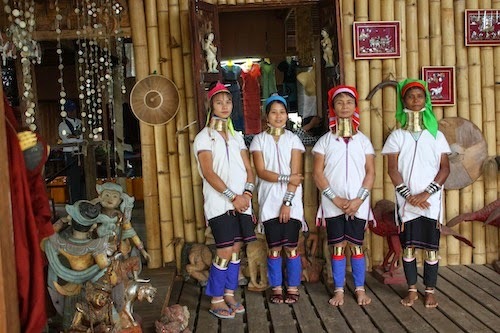 On the contrary, some people believe that this tradition makes Padaung women looks more attractive as women tend to have slender necks than men do. The third explanation for this suggests that women wearing these brass coils will resemble the image of dragon, thus helps them avoiding tiger bites. But if you ask Padaung women, most of them will deny all of those three ideas, saying that the tradition is a cultural identity that they embrace since wearing it at the age of five. Once worn, these necklaces are seldom removed. In fact, the removal of them is a form of punishment of a woman betraying her husband. Seeing these women, some tourists share laughs and see them as in the zoos. This is such a shame as this tradition should be respected by all, as a part of the incredible cultural variety of Myanmar. Thank you for sharing Tuan, Wearing these brass coils can lengthen the necks, but what is the purpose of having an abnormally long neck? It turns out that there’s more than one question on this.